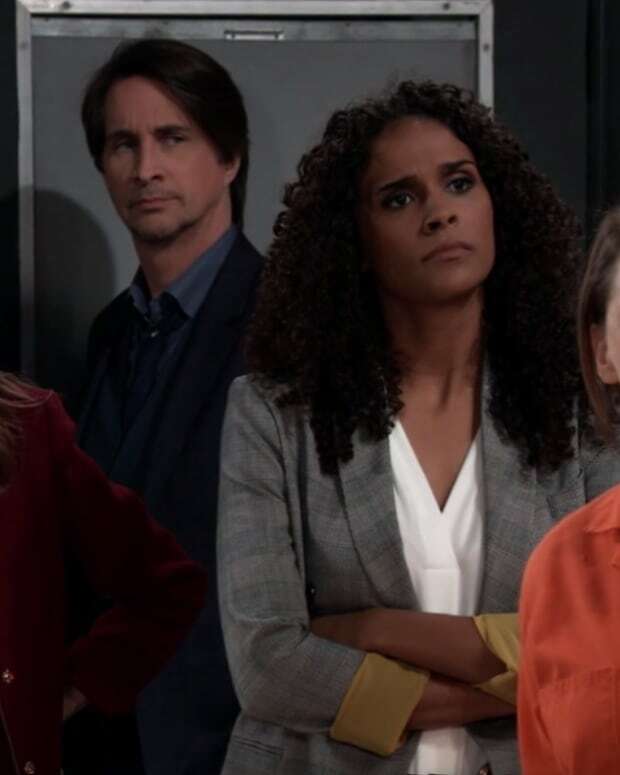 Perkie's Observations: Will Felix and Michael Find Sabrina on General Hospital? Carlos compares Anna to himself, but she claims he&apos;s just a thug. He says he has a soul, that he loves his child. Anna accuses him of shattering her life, as well as Robin and Emma&apos;s and hopes he suffers being separated from his family. Carlos accuses her of not caring about his life when she pulled the trigger on him. Anna counters it was all a set up, whereas he shot an unarmed Duke. Carlos points out Duke was no innocent — he was running Sonny&apos;s organization. Anna says Duke was getting out of the business, and Carlos stole Duke from his son as well. Michael meets with Dante and asks about any information on Sabrina. Dante says her case has been turned over to the Feds. Michael is shocked when Dante tells him Anna has been arrested for shooting Carlos. Lulu tells Laura she and Dante are doing some counseling exercises together. Laura asks if things have gotten physical. Lulu says they aren&apos;t supposed to yet. Laura tells Lulu about her meeting with Kevin to decipher the book. Michael checks in with Felix for any news on Sabrina and the baby. He hasn&apos;t heard from her either. Later, the two decide to head to Puerto Rico to find her. Having heard from Michael that Anna was arrested, Griffin heads to the PCPD to see what he can do for her. He&apos;s surprised to hear her confess it&apos;s true. Anna explains what happened that night — how her grief got the best of her and how she&apos;s disappointed in herself. Anna feels she needs to face the consequences. Carlos pipes up, so Anna introduces him to Griffin. He asks if Carlos feels sorry he killed Duke. Griffin needs to know if he can forgive Carlos. Carlos shows no remorse and doesn&apos;t want or need Griffin&apos;s forgiveness. Griffin grabs him through the bars before calming down. He tells Anna they both need to find a way to forgive Carlos for the sake of their souls. Lulu and Dante do their counseling exercises while trying not to get intimate. Dante shows her the new bed he bought and the two end up in it...getting intimate! Jason and Sam make out on her bed. He has a memory of them together. Sam is certain it was of their last night together. She feels it&apos;s a miracle they&apos;re together now and says she won&apos;t survive losing him again. Kevin tells Laura he managed to decipher "Heartbreak Hotel" from the book and wonders if it has any meaning for her. Laura can&apos;t think of anything and wonders if she should give up on this quest. Kevin wants to continue to put the pieces together. Sam dreams Jason is shot in the back. Ghost Helena appears and reminds Sam she&apos;s been cursed.